It turns out the said street in Edinburgh is actually private property, which seems somewhat ridiculous considering it is a shopping precinct in need of passers by. The fact that it’s a public thoroughfare means that the public have a right of access – it’s a public space. And the general understanding is that if this is a public space, then there’s a right to take photos. But according to the street, Multree walk, which hosts luxury shopping outlets, including Harvey Nichols, both photography and bikes are banned. But without a sign, who’s to know this. It’s contradictory and confusing. Edinburgh’s photographers agreed and, keen to protest for their rights, a photography flash-mob descended on Multrees Walk with cameras at hand to snap the shops from the edge of the private street in ‘public space’. But with large areas of cities being handed over to developers it blurs the boundaries of where public space ends and private property begins. It confuses us of knowing where it is safe to take photos, and without the fear of being ambushed by security guards. But this hasn’t fazed internet search giant Google which, despite hundreds of invasion of privacy claims and law suits, has photographed the world from its Street View cameras. This month it took its controversial mapping service to the last continent, and southernmost point, of Antarctica, making it now feature locations in 30 countries and all seven continents. 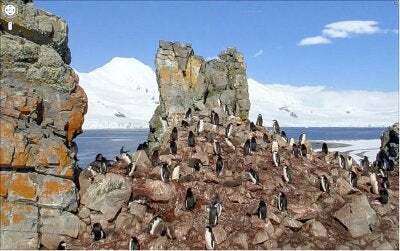 It seems all very nice being able to navigate around the snow-capped mountains of the South Pole and familiarise yourself with the continents’ penguins from the comfort of your armchair. But when it means Googlers can search and view your front door, god forbid! Oh, how the tables, or lenses, have turned. We may enjoy harking on about photographer’s rights but when it comes to a global giant pointing the lens we scream, ‘invasion of privacy’! Makers claim that 95% of the UK has been photographed and is now mapped out on Google’s servers. And although when it first launched in the UK, Street View images of sunbathing girls and children fighting raised concerns, it has never in fact broke any grounds of privacy. The UK’s Information Commissioner’s Office investigated and found that Google was playing by the rules and dismissed the idea that the consent of everyone photographed should be sought before publishing. 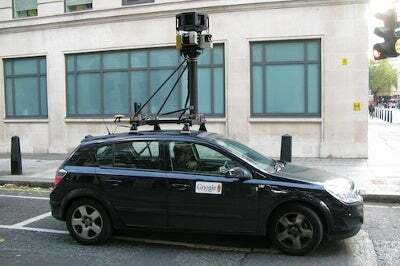 Some Buckinghamshire villagers didn’t agree with the ‘Big Brother’ idea and took the law into their own hands when a Google ‘Street Viewmobile’ (a car with nine, 2.5 metre-high multi-directional cameras) came to take pictures of their homes. Broughton residents joined together and attacked the car and formed a human barricade to stop the vehicle continuing to photograph. This is all rather extreme and most right-thinking people know Google is breaking no laws and think in fact it’s a fantastic piece of technology and an additional aid to navigation. However, before its launch in Germany in a few weeks time, thousands of German citizens have been able to ‘opt out’ of Google’s Street View with help from the government who have decided extra protection is needed. Residents have been able to submit a request to Google to have the images of their property blurred out ahead of the launch. Google had to draft in extra staff to cope with demand and it today announced that a total of 244,237 German households opted out. Imagery of the 20 biggest cities in Germany has been taken so far, totaling 8,458,084 houses, meaning 2.89% have opted out. This figure may of course rise after the launch when German households will still be able to opt out. Google is playing this down as a small, insignificant number of households, while privacy campaigners will probably take the opposite view. Where does that leave photographers? Follow Google’s lead until people start sending ‘blurred out’ requests? And just hope we’re not snapping while accidentally crossing private shopping boundaries.